Gordon was a long-time competitive distance runner who discovered Pilates in 2000, began teaching in 2003, and joined Pilates on 10th in early 2006. 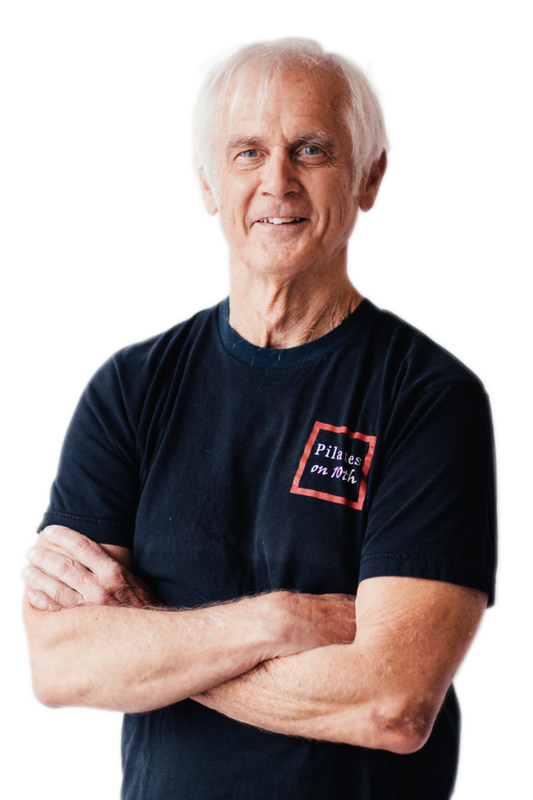 Following rehabilitation from an automobile accident, Gordon became fascinated with the design structure of the human body, leading him into Rolfing (structural integration), yoga and finally Pilates. Gordon sees the human body as a superstructure of interconnected elements. Much the way a suspension bridge depends on the integrity of every cable for its strength, so it is with the human body. Should one muscle be slack and not carry its load, another muscle will be overloaded, pull the body out of alignment, causing imbalance and eventually failure and injury.